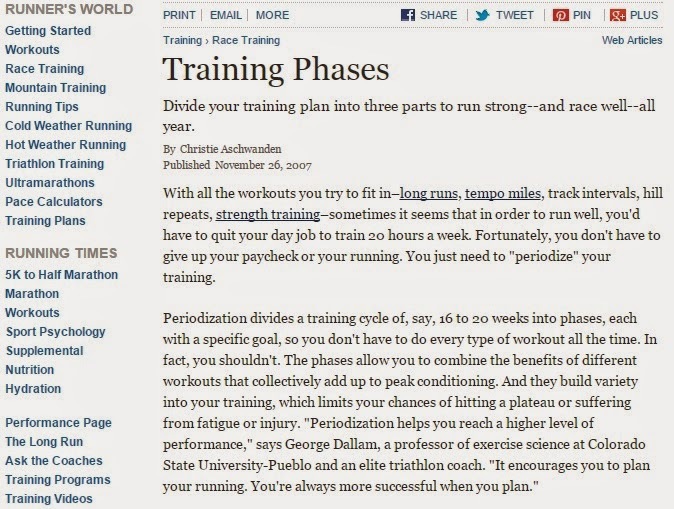 The Chi-Athlete: Let's Talk About Periodization. What's one more snow day? It's all fun and games until your summer is gonesies, though (no, snow days are not "built in" to the school calendar!). I took advantage of the day and slept in (not well, mind you). I'm used to getting up so early, and honestly freaked out a bit when I realized it was 5:00am and I wasn't already up on a weekday. *le eyeroll* Harry and I ended up hitting the gym, where he ran around in a circle for a few miles, and I worked some Yerrrrgah. It's been far too long since I've practiced, and it got me thinking about my not-so-intense training as of late. Some lunch afterward, and a couple of Red Velvet Oreos when we got home. I came home, took a gander at my race schedule, and realized that I absolutely need to get my booty in gear, like NOW. I have five weeks until the Shamrock Shuffle 8K, where I'm looking for a PR, and eight weeks from the Carmel Half Marathon, for which I'm an Ambassador (reppin' Chicago!). I'll be seeking a PR there, as well. Since the marathon in October, I haven't really had a solid training plan, nor have I wanted to have anything to do with one. It's common for athletes to go through periodization training, where there are cycles of intensity, volume, overloading, duration and frequency of workouts. These cycles are essentially for preventing injury, allowing for speed, growth, and strength, and helps avoid overtraining (big time). It keeps you mentally and physically fresh and organized. I haven't really gone through periodization in a long time, since my bodybuilding days. 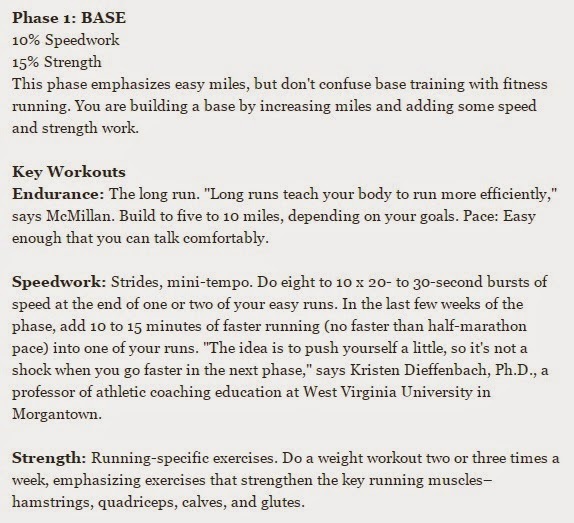 Here's an article from Runner's World regarding macrocycles phases for running. I have kept a very small, inconsistent base going. The long run has been solid, but wavering in distance. Cycling and swimming, as well as strength training, haven't really been a big deal for me. My "on" season for triathlon will begin pretty soon, but I am trying to keep a small base of the other two disciplines. These periods of training includes what is commonly referred to as "annual training". The period cycles, mesocycles, macro and micro cycles, can be utilized as well, but they all include a transition plan, exiting out of the competitive phase. That will be more essential to me this year, with a Half Ironman-distance near the end of the year. I have a ton of work to do, and I'm finally in a place where I have some solid footing (figuratively and literally). I have my plans all set, and the next eight weeks will be tough. Preparation and organization is absolutely key, but having Harry as my motivator (who's also PR-seeking in these races) is definitely the bets perk. Bottom line: It's go time! Before you leave, take a moment to listen to Deep Thoughts, with Cookie Monster. QUICK: Favorite TV show at the moment? -Harry and I watch "It's Always Sunny in Philadelphia" with some buddies of ours from the /R/iver /R/unners crew every week! I like the sound of this type of training! It can be overwhelming to look at a training plan and see 569565 types of runs in one week. Ahh! This is pretty cool, I'll def be researching it some more! I can't wait, friend! ROCK.